Sophie Hassfurther grew up near Salzburg/Austria. Her studies have led her to Amsterdam, Vienna and New York. Currently based in Vienna, she has made a name for herself as a versatile instrumentalist on the saxophone, flute, and clarinet, as well as a performer and composer for ensembles in various musical contexts. Highlights include domestic and international concerts with Peter Herbert, Marianne Mendt, mathias rüegg, Gerry Hemingway, Wolter Wierbos, Sean Bergin and Simon Nabatov. Sophie performs as part of the stage orchestra in the prestigious Jedermann play at the Salzburg Festival since 2013. Sophie’s musical journey brought her to perform in various venues and festivals in Europe and abroad, among others the opening concert with Peter Herbert at the Jazzfestival Saalfelden, North Sea Jazz Festival, Oğuz Büyükberber’s carte blanche at the bimhuis Amsterdam, Nardis Jazz Club Istanbul, and included collaborations with musicians from South Africa, India, Latin America, Africa and the USA. 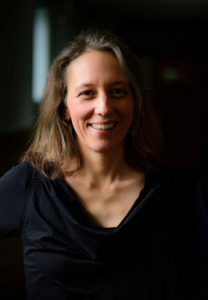 As a composer, she received two grants from the federal chancellery of Austria, enabling her to realize compositions for her own projects, namely a trio suite premiered at the Outreach Festival in 2012 and various quartet pieces found on her debut album, as well as a composition for large ensemble. She has written music for theater projects in various line-ups, and is frequently asked to contribute compositions to the repertoire of bands she performs in. Sophie’s debut album Orient Express, praised by the press for its power, authenticity and originality, featured her long term collaborators clarinetist Oğuz Büyükberber and bassist Hannes Enzlberger, as well as veteran drummer Wolfgang Reisinger. Oğuz Büyükberber and Sophie are working on their upcoming CD Mind Like Water. The album will be released in March 2019.